Livery: Red with beige between decks band. Black mudguards and gold fleet names. Livery: White with red chassis. Notes Limited edition of 10,000 pieces. 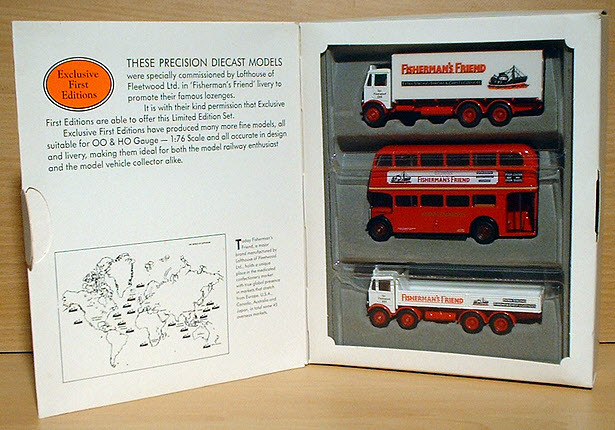 All three models were also available as individual releases via an on pack promotional offer. ** There are reports that the 3 axle version of the dropside truck 103001 was issued in some versions of this set instead of the more commonly found 4 axle version. The models are packaged in a custom card box. 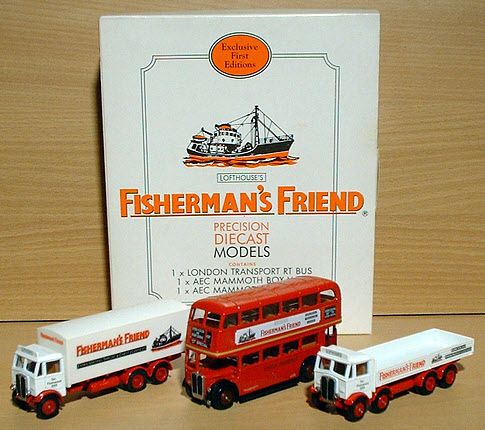 Commissioner Produced for Lofthouse's Fisherman's Friend. Available via a promotional on pack offer.